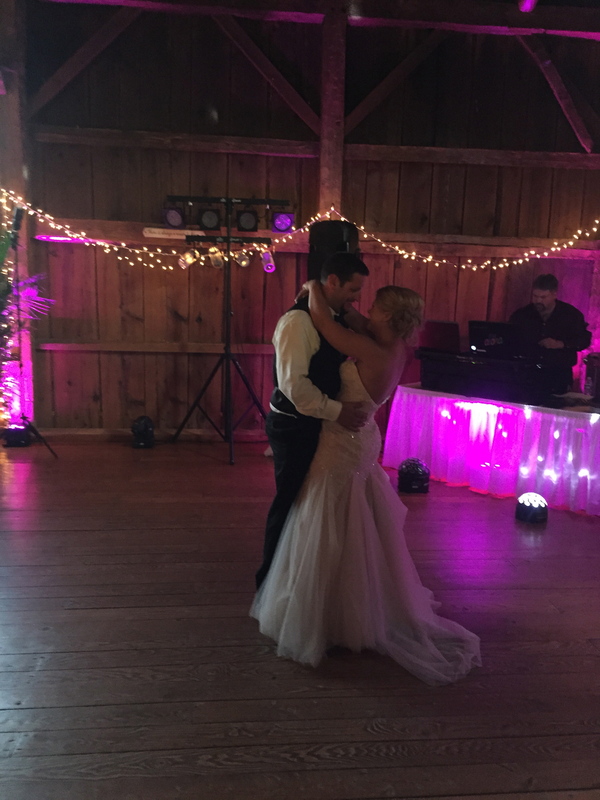 This past weekend was a special one for me; two of my best friends tied the knot! So when Friday afternoon hit, I rushed home from work, packed my bags, packed my car, and rounded up my boyfriend and puppy to head to good old Vermont. It’s about a 4 hour drive so the grande iced soy latte I had definitely kept me going (((I hate road trips))). We arrived at the cabin, unpacked the car, and hit the sheets…knowing Saturday was going to be a long day. 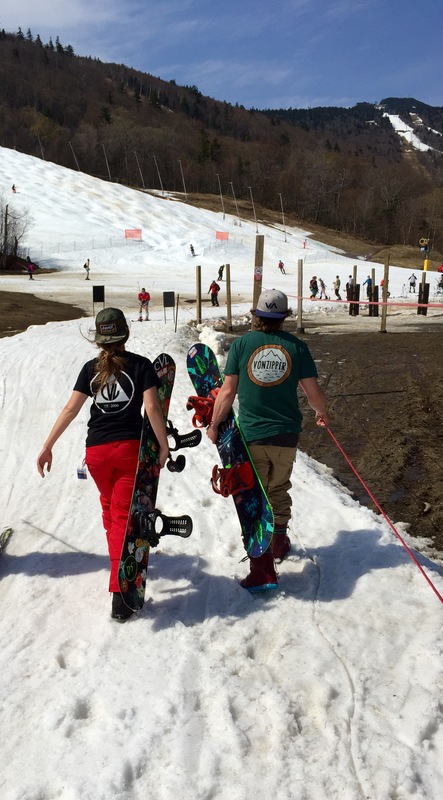 Since the ceremony did not start until 4 pm, we had time to head to Killington Resort for some Spring riding. 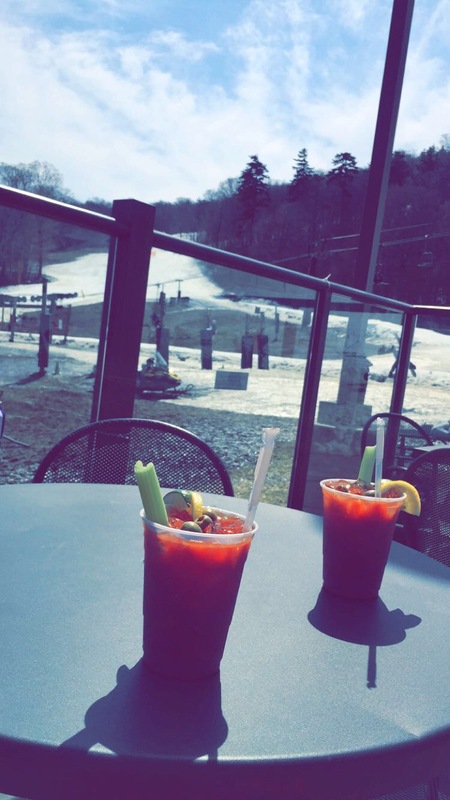 We get season passes there every year, so the fact that we only took one run was fine with me…I was only really there for the Bloody Marys anyway 😉 It was 70 and sunny…which meant I had to apply lots of sunscreen, because we all know going to a wedding with a sunburn is not a good look. I did not stand a chance. The second I saw her walking down the long pathway…I lost it! God I am so emotional. Maybe it’s the Virgo in me, or maybe I get it from my mom, but I felt like a big old baby. She was just so beautiful I couldn’t help it! The wedding was at Boyden Valley, and it was gorgeous. The mountains as a backdrop, set against sharp black tuxes and bridesmaids dresses, and the colorful flowers made everything look picture perfect. There was a quick cocktail reception outside while the bridal party took their millionth photo of the day, and it didn’t take long before one of us spilled a drink…one of my best friends spilled a huge glass of white on me! (But luckily my dress was light pink and you could not see a thing) —-> we are kind of a messy group 😉 plus it’s not every day two of our dearest friends get married! Needless to say, the drinks were flowing on Saturday. Although I did not catch the bouquet, I had the best time; and seeing two of my best friends and two people I love and respect get married was truly an honor. I am left smiling after this fantastic weekend and I know that Mr. and Mrs. King will live happily ever after. 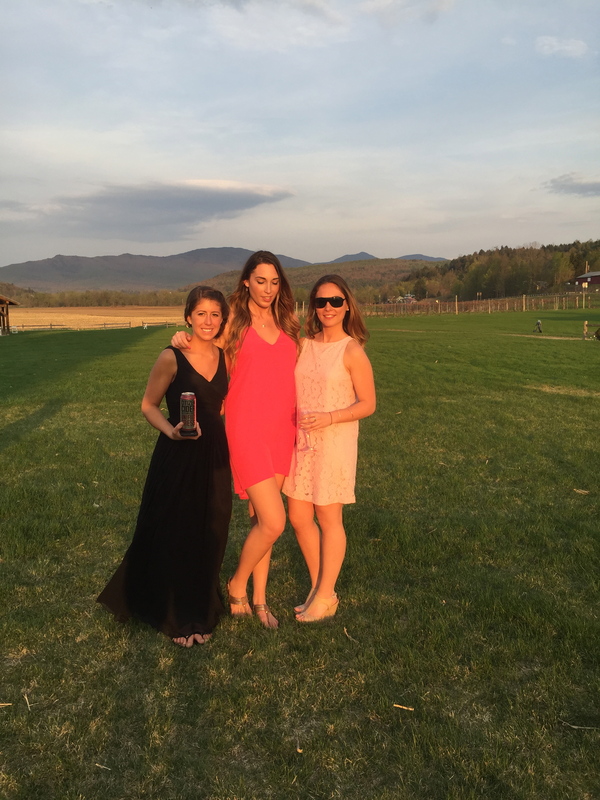 Posted in UncategorizedTagged BBDakota, BloodyMarys, BoydenValley, BP, Killington, KingWedding, Love, RoadTrip, Snowboarding, TrueLove, Vermont, VonZipper, WeAreCivilRhodeIsland, WeddingBookmark the permalink.